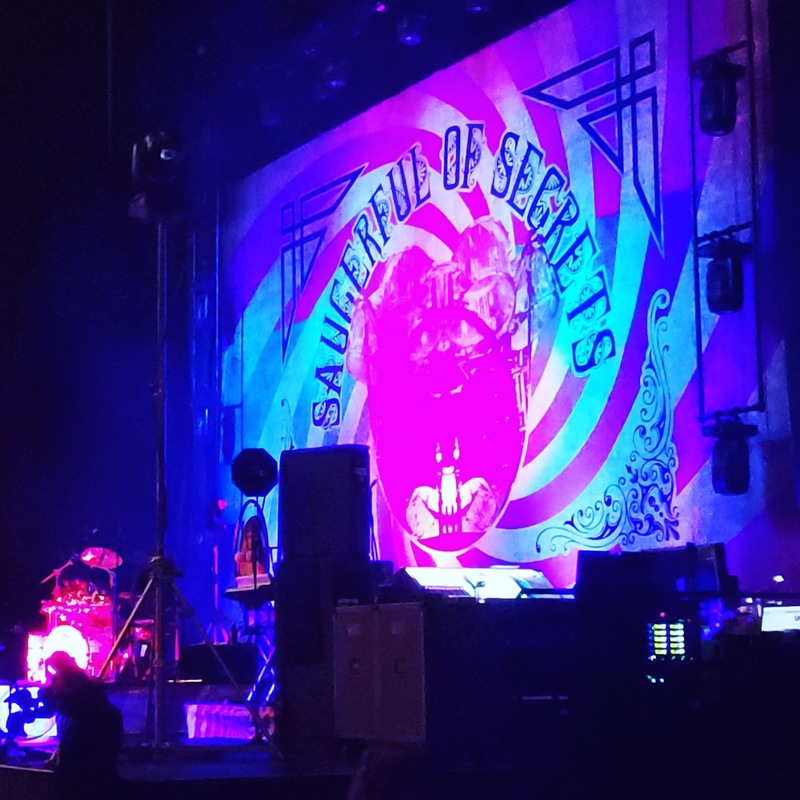 Night three of Nick Mason's Saucerful Of Secrets 2019 tour, and the band have now arrived in California for a trio of shows - one here in San Francisco, and the other two in Los Angeles. We hear that this show was potentially the best of the 2019 performances so far. A slight shuffle of the set list as you'll see above, but unlike the previous show, we don't believe this was due to any technical issue. 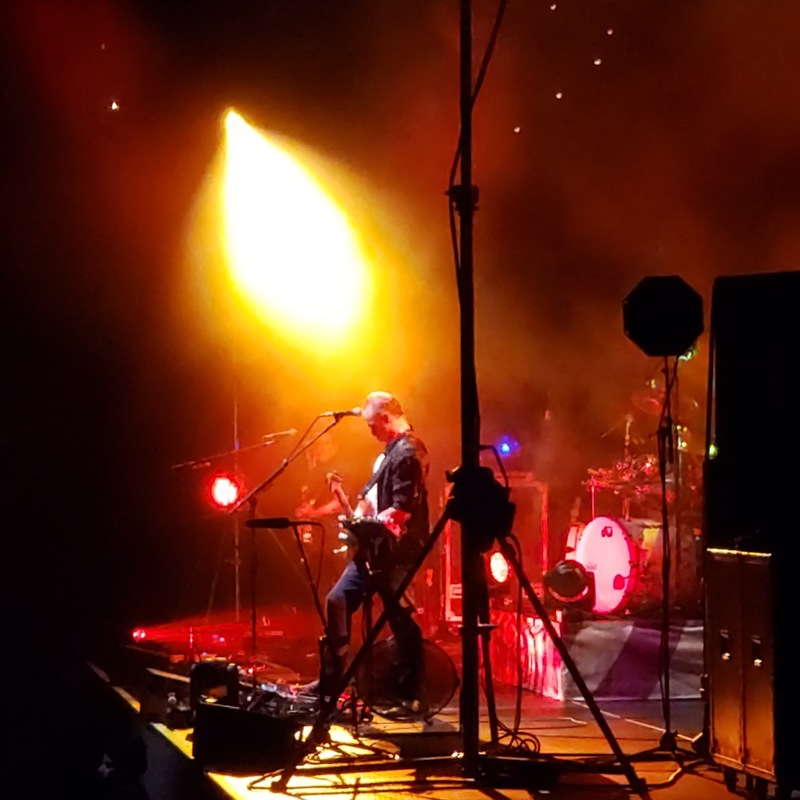 When a set list is concocted, there are various ways of ordering certain songs, and sometimes it is only when a band have a couple of dates under their belts that amendments become apparent. What can I say? This was an incredible night, and far different than anything I have experienced. Most of us are not old enough to have experienced the Floyd at their creative peak. In my mind this would be from about '68 to '75. We have been fortunate enough to see the incredible tours from Roger and David, but as amazing as they have been there was always the fact that the early songs were not given enough attention. Fortunately Nick Mason has taken care of the gap in coverage. I have seen Pink Floyd on every tour since '87, and every Roger and David show since then. I know every album from front to back, and every note, breath and pause. What Nick Mason delivers is different, and it stands on its own. It is quite refreshing to be honest. Sure, there is the familiar ambiance before the show kicks off and the anticipation that goes along with it. What is not expected is the amount of care that Nick and the band puts into things. This is nothing like your typical David or Roger concert. From the get go we are treated to a faithful reproduction of the early Floyd repertoire, and at the same time we are treated to a band that has teeth. Hearing these classic some reworked by someone who is not vested by the guitar work nor the lyrics is refreshing, and the results are beyond what one expects from "the drummer of Floyd." This band is on fire and are playing in a manner that most of us are not old enough to experience. I cannot express how special this concert is, and I would encourage everyone to get a ticket. There is fire, precision, and the ability to improvise. For most of us, this is the closest we will ever come to early Floyd and all of the good things that come from it. 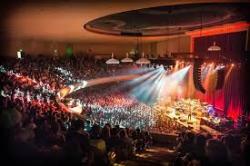 I saw Nick's Saucers at the Masonic in San Francisco. It's ingenious that Nick has chosen the catalog before Dark Side to bring to life again in the live arena, because as he said, it's a part of the catalog that has laid there for years and getting basically no attention for playing live, and pre-Dark side is my favorite Floyd. So hearing my favorites like FEARLESS, GREEN IS THE COLOUR etc. before me was mind-bending. AND THIS BAND NAILS IT! You can't point out certain band members because this is a SUM OF THE PARTS! Damn they're good! Other highlights for me: OBSCURED BY CLOUDS/WHEN YOU'RE IN was loud prog ROCK at it's FINEST! The medley of IF/ATOM HEART MOTHER(!) just takes you back. Then there's SET THE CONTROLS - takes you back to their '70 - '71 era.